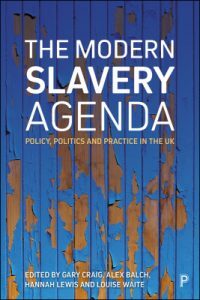 Modern slavery, in the form of labour exploitation, domestic servitude, sexual trafficking, child labour is still growing in the UK despite the introduction of laws to stem it. This book is the first to critically as the legislation and offer strategies for improvement in policy and practice. Colleen Theron explores how business is implicated by modern slavery, the salient requirements of the UK Modern Slavery Act (MSA) transparency in supply chain provision, in the context of growing mandatory reporting requirements for business.